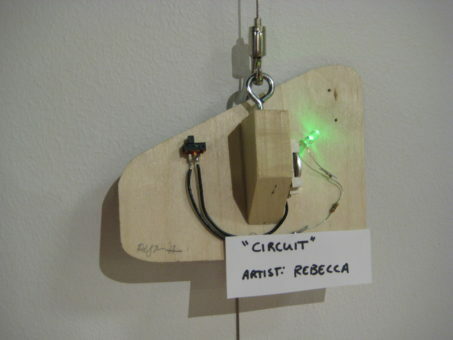 Our Teaching Artists and one of our interns recently had the chance to display some original MAKESHOP creations in an art show at Tula Organic Salon and Spa here in Pittsburgh. 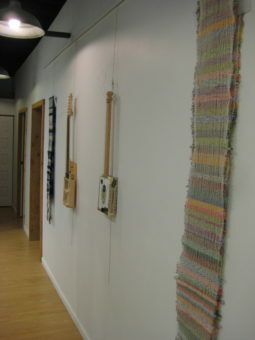 The Salon hosts a different artist every month and allows them to display their artwork throughout the space. 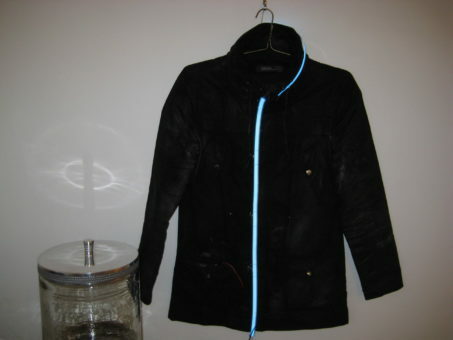 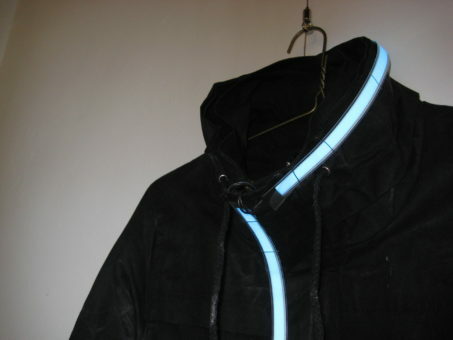 The MAKEHOP Art Show included a light-up jacket created by Christian as a Halloween costume/night light. 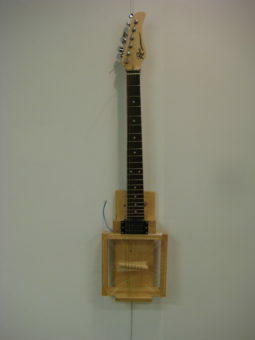 Some DIY guitars (one was made by Christian the other was made by a former employee, Paul). 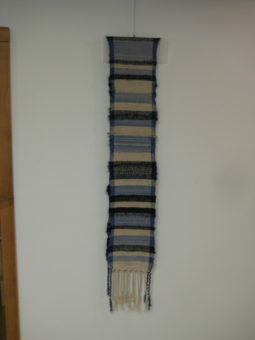 Several of the scarves woven by visitors on our loom were also put on display. 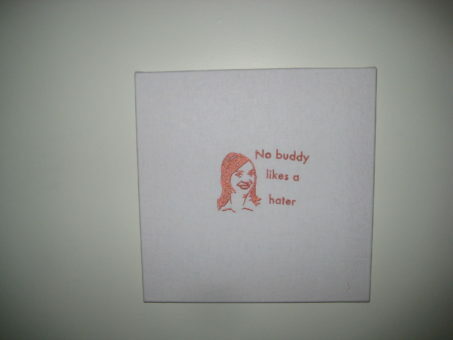 Amy provided some of here embroidery and dyed fabric art. 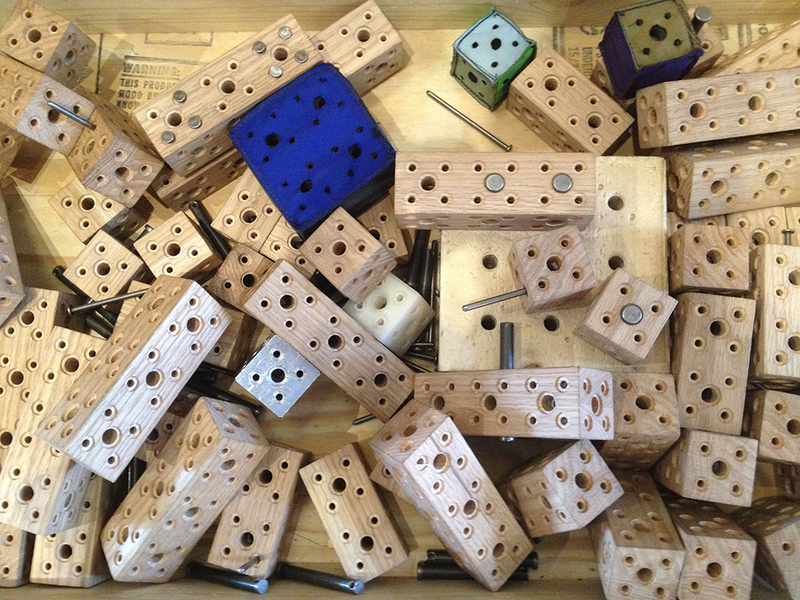 Lauren, one of our interns, created these stuff critters. 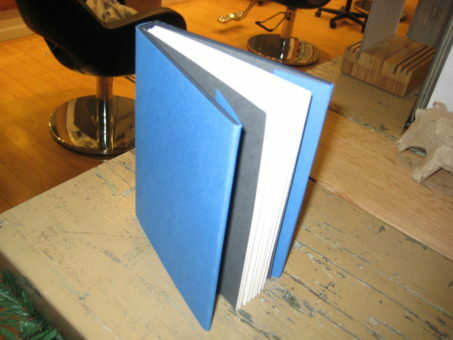 Rebecca made this book of interesting quotes from her peers. 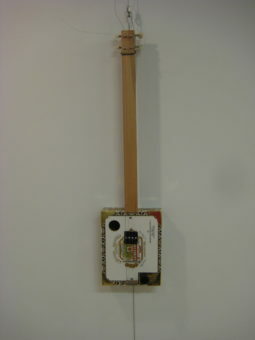 Along with this laser etched circuit block (art work displayed backwards in picture). 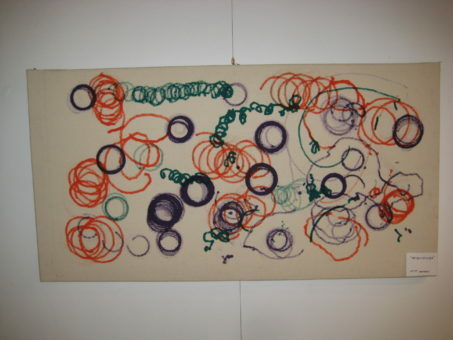 Some of our ShopBots created this large piece of artwork using canvas and fabric markers (Kevin made the Shopbots). 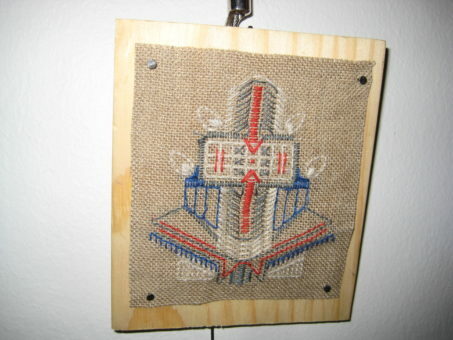 And finally, Derek embroidered this ornate design. 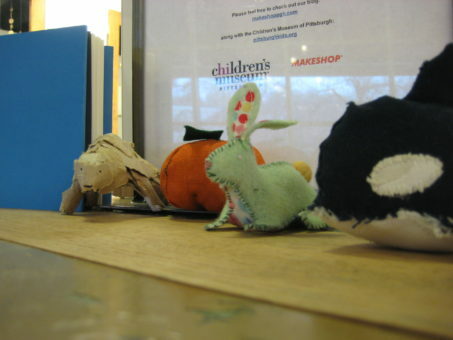 Visitors to the Salon loved the whimsical nature of our MAKESHOP Art Show. 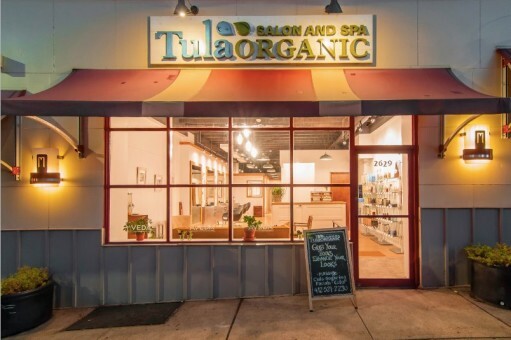 A big thanks to Tula Organic Salon and Spa for hosting our artwork.